Get ready to have the best time online whilst winning big when you play Foxin’ Wins Scratch Card! Don’t miss one more minute. Good luck! 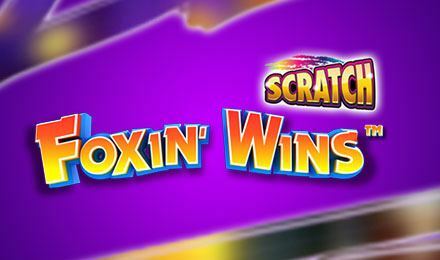 Foxin’ Wins Scratch Card is based on the well-known slot game, which means you’re guaranteed to love it! The goal is to uncover 3 matching symbols – each symbol has a different multiplier amount associated with it, and there are also FREE games to be won! Foxin’ Wins Scratch Card has an RTP of 90.72%, and there’s a payout up to 1000:1. Uncover the symbols one at a time or all at once if you’re eager to see your wins!